One of the easiest — and quickest — ways to add some color and contrast to any garden or landscape is with a piece of sculpture or a substantial glazed pot. Unlike new plants that need planting and maintenance, once these garden elements are installed, they are simply care-free! 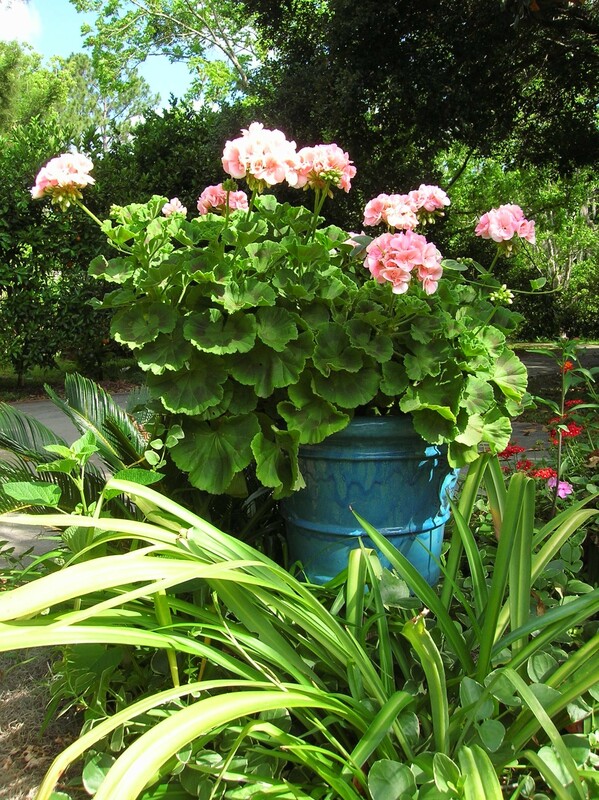 Often the best way to display a large and colorful pot is by elevating it above surrounding foliage. This is easily done with cinder blocks, bricks or even a post. Just make sure the pot has a solid foundation so it won’t tip over and possibly break. While some glazed pots are the perfect foils for colorful annuals or perennials, a really large one doesn’t have to hold anything to look simply spectacular. How carefree is that? 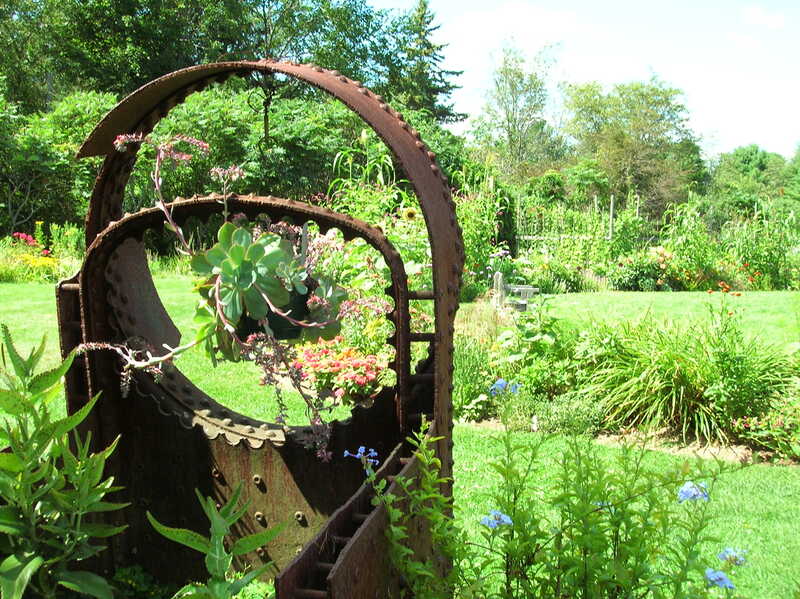 Same goes for garden sculptures and these can be handcrafted items or even “found items” like large iron pieces or industrial machinery parts that often possess great texture and form. 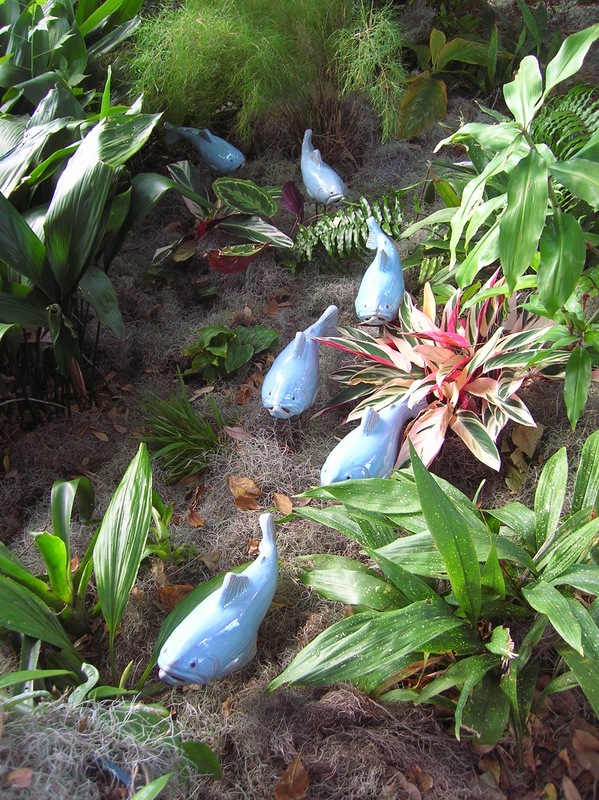 Small items that can be grouped, like the charming Fish in the Garden add to the feeling of movement in a garden and when grouped appear to become a much larger sculpture. Also consider a rustic element you craft of saplings and limbs. A times-two-bonus of this type of garden structure is that it can often double as a trellis and can be easily made of free materials. There’s a new sprinkler on the block and it’s got me excited. Designed to reduce water use, Rainforest Sprinklers operate at low water pressures, cannot clog and provide even coverage to an area of up to 2,000 square feet. I love these heart-shaped sprinklers and think they’d make nifty Valentine’s Day “gifties” for any of your favorite gardeners. The sprinklers work by breaking-up water droplets to improve delivery of water to the root zone and prevent water from pooling and running off. They come in a variety of configurations including the spiked model shown here, pole mounted, with a wheel base and more. Note that unlike some of those light-weight plastic sprinklers that work with low-pressure, the Rainforest Sprinkler doesn’t have “arms” that can get blocked by foliage. 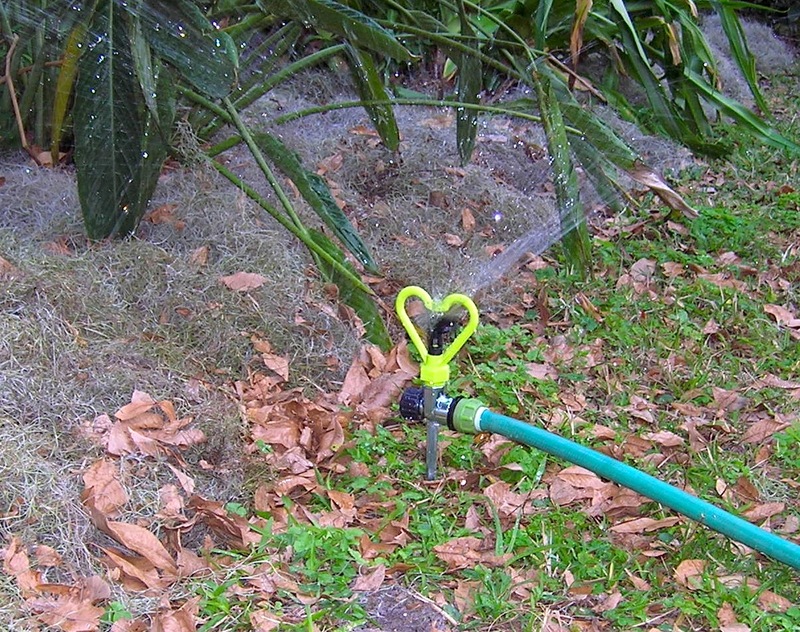 In fact the little heart-shaped head protects the moveable arm of this sprinkler from being stopped by foliage. That means you can place this little sweetheart just about anywhere in the garden and it still throws a pattern of water. How sweet is that?! Product inventors, Mark and Lori Loran, explain why Rainforest Sprinklers work well under challenging watering conditions. “Because they can’t clog, they are great for use in areas with hard water and are ideal for people on low-pressure systems like wells,” Mark Loran said. “They can be used with regular and even high water pressure just as well,” Lori added. “A lot of nurseries and greenhouses use them to mist very delicate plants and seedlings.” Look for Rainforest Ecological Sprinklers from Contech Enterprises at Contech Enterprises retailers or online at http://www.contech-inc.com. This is the company that also produces the ScareCrow to harmlessly scares deer and other wildlife away from gardens with a blast of water. Contech also produces a line of unique pet items. Visit the website to see the many unique products. 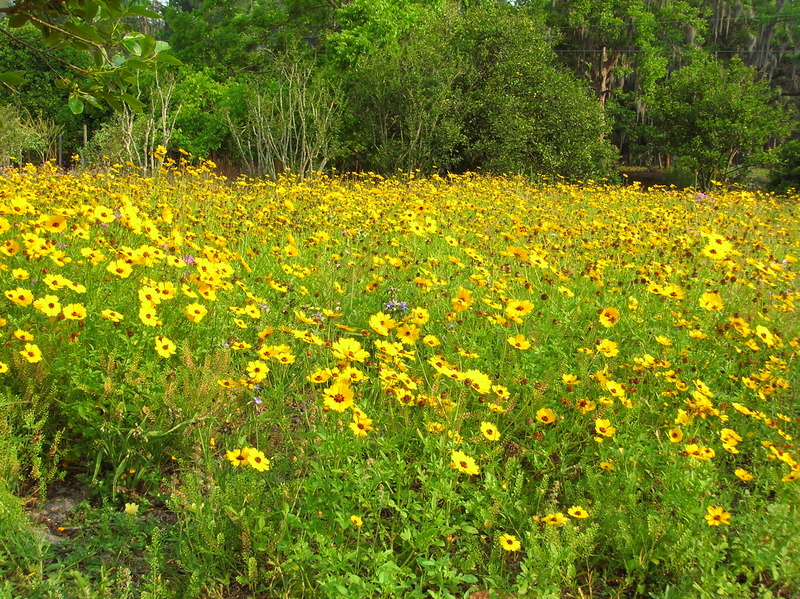 This luxuriant wildflower meadow started with a handful of coreopsis seeds. 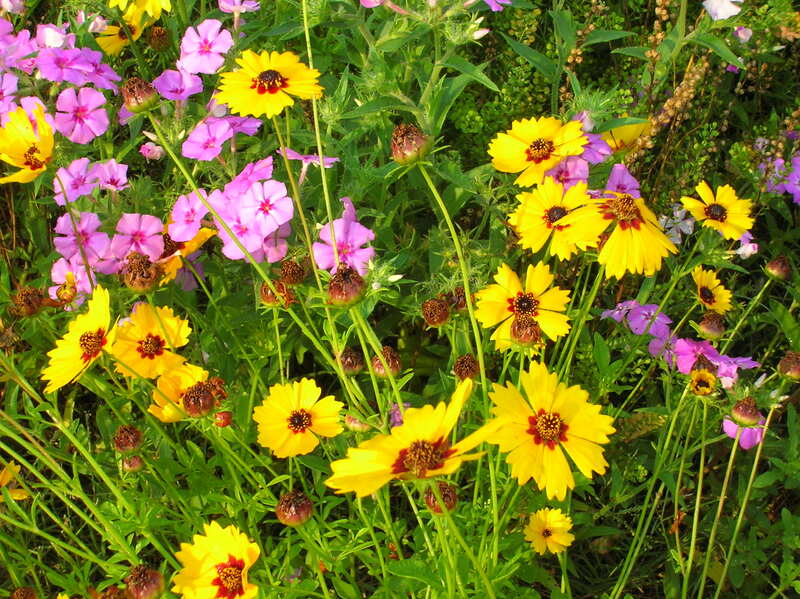 You can establish your own wildflower garden by collecting seeds. Scattered in the fall over an existing lawn, the seeds took root and grew throughout the winter, blooming in late spring. Mowing is restricted until after the flowers bloom and go to seed, a time when more seeds can be collected. Phlox joins coreopsis for a color contrast. Note the browning flower heads among the blooms. These are coreopsis seed heads. When the seed heads are dry it is time to start collecting seeds. Collecting wildflower seeds is easy when the flowers have gone to seed. Hold an envelope or plastic bag under the dry seed heads, and gently tap the little seeds into the bag. Seal bag tightly to keep out moisture and store in a cool, dry location until it is time to sow the seeds in the fall for a spring wildflower garden. Opal trout swim and swirl through the vegetation. With some of the best packing to be found, “Fish in the Garden” arrive ready to set up in the garden (or swim indoors for a tabletop or mantle display) on their special brackets. All varieties of “Fish in the Garden” are completely waterproof, though ceramic fish should be brought indoors in the winter in northern climates to prevent freeze damage. Cartload of Opal trout on their way to the garden. Look what the brown truck delivered today — it’s a whole school of fish for the garden. 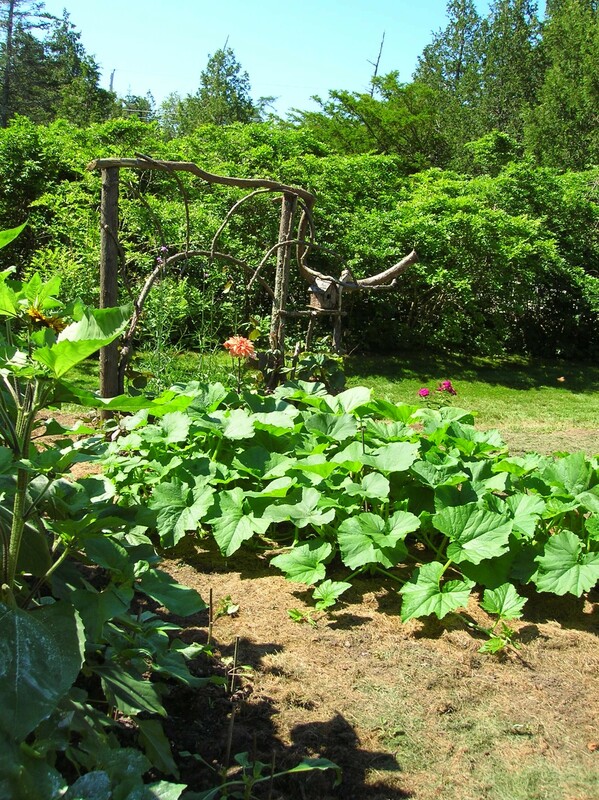 Actually they are “Fish in the Garden,” all the creations of a talented young Maine artist, Tyson Weiss, who is revolutionizing the concept of garden sculpture. When installed in the garden, the fish, which come in either high-fired stoneware or sleek brushed stainless, swirl through the foliage much like real fish do among eel grass or along a coral reef. This sensation of movement, along with the pleasing contrast of their signature glazes and elegant forms is part of makes these fish so special. Group them and the sense of direction and movement is heightened. A few years ago Weiss of Falmouth Maine decided to branch out from his landscaping business. He wanted to use his skills as a potter. A snorkeling trip on a tropical coral reef was the inspiration for his “Fish in the Garden.” Today this one-man fish factory is now responsible for schools of fish making their way in gardens across the country. “Fish in the Garden” come in a number of varieties including striped bass, trout, barracuda and salmon. Brushed stainless striped bass swim effortlessly above mondo grass. Find your fish at http://www.fishinthegarden.com. Several cold winters and dry and hot summers have combined to take their toll on citrus trees in Florida. Here in the northeast part of the state the dry conditions over both last summer and this winter along with extreme cold for several winters has weakened many trees. It’s times like these that disease and pest problems can take hold, and while they won’t necessarily kill trees, if left unattended to they can stress trees to the breaking point. We’ve noticed a spongy, white fungus-like substance on leaves and fruit on area trees. Not a fungus, but rather citrus snow scale, and while it looks pretty bad the presence of these insect pests does not render fruit inedible. Wash fruit well for eating and juicing purposes. And prepare to spray trees with a combination of horticultural oil and insecticidal soap to reduce populations. According to our Putnam County Horticulture Agent Joe Sewards, the pests are usually around all year. • Mulch: Using bark, straw, sawdust, peat moss, leaves or grass clippings, mulch well (at least two to three inches deep). Mulching plants in the winter helps protect the roots. Mulch can be removed when the cold temperatures subside. Keep the mulch an inch or two away from the trunk or main stem, and check once a month to make sure that moisture is still able to reach the soil. 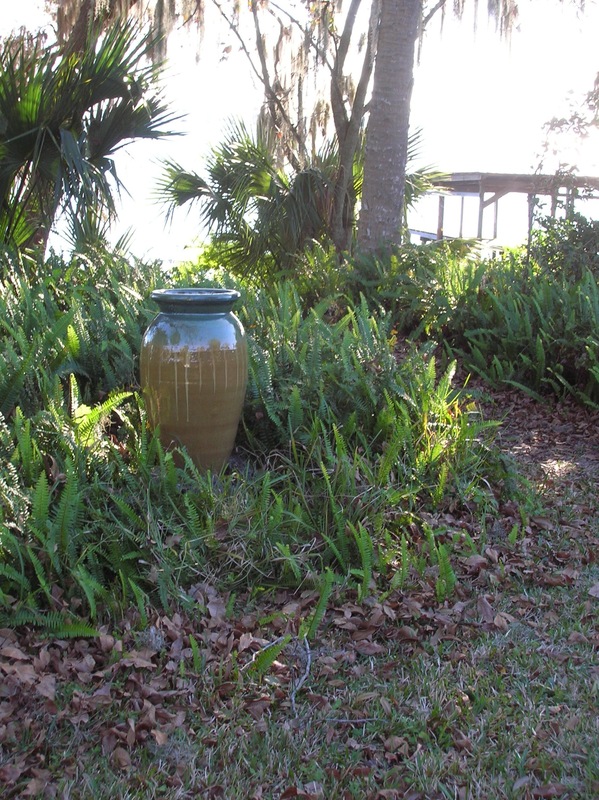 Dry soil combined with cold can cause serious freeze damage. 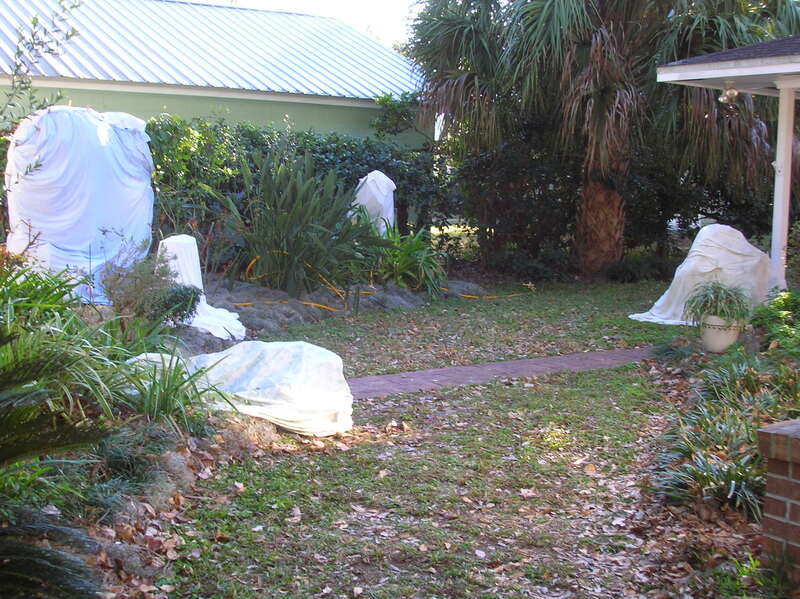 • Cover: Burlap, old blankets, or sheets (any cloth material) can be used to cover plants. It is recommended that you drive stakes in the ground around shrubs and drape the cloth cover over the stakes. Foliage in contact with the cover can be injured, so try to minimize cover contact with foliage. Cold covers must go all the way to the ground and be firmly anchored so that the cover forms a dome over the plant trapping in heat from the surrounding soil. • Water: While it is not recommended that water be sprayed over plants, shrubs or trees (It could freeze and the weight can break or damage foliage and limbs), a hose with a steady trickle of water running though it can be wrapped around the trunks of trees such as citrus varieties to protect the graft area. Even if the canopy suffers damage, the graft will be protected allowing the tree to grow again. In addition a thorough watering of plants before a freeze event can help them withstand the drying effects of especially cold temperatures. • Container: Potted plants such as tender tropicals can be brought inside in cold weather. Bring the container into a shed or garage, and avoid heated rooms. The container should be placed back outside in the sunlight as soon as possible. If your container is too large to move, try mounding mulch around its sides or wrapping it in blankets that reach all the way to the ground. Tall potted plants can be placed on their sides so that they touch the ground, and then covered for protection. And when cold damage does occur, it is tempting to “clean up” damaged plants as soon as the destruction shows up, but cutting back plants too soon could further tax them by cutting away live portions. Often young plants are more susceptible to sudden, drastic drops in temperatures and sustained cold weather (25 degrees or below). As your plants mature and become more established in their environment, they will be better able to withstand cold temperatures. Also wait until temperatures warm up and new growth appears before fertilizing cold-damaged plants. If done too soon, plants could be burned or worse, produce a growth spurt that could be damaged if more low temperatures occur. But there is a bright side to Florida freezes. Those plants that kicked the bucket may not have been suitable for your growing area after all, and their demise opens up the opportunity to replace them with native or other varieties more suited to their habitat. The cold weather can also reduce pesty insect populations. Fewer bugs could be a good thing, right? Good riddance, thanks to Jack Frost.